LEND ME YOUR EARS… AND EYES. I need your help. At some point between last year’s Roll Out, Roll Call and this year’s, two pieces of original Transformers comic art I supplied for display ‘went missing’. 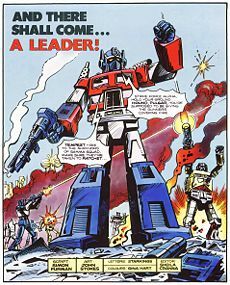 The items in question are the final page of Transformers UK #78 (Target: 2006 prologue), by Jeff Anderson, and page 2 (the title page) of 1985 Annual story, ‘And There Shall Come A Leader’, by John Stokes. See below for images, but bear in mind the missing pages are the black & white line originals on artboard (at larger than printed scale). These pages were kindly given me by the artists in question, and are quite simply irreplaceable. So, could I ask all transfans to be vigilant. If you see or have seen these items for sale, or know who has them, please contact me via the Wildfur website (& the contact email thereon). All information will be treated in strict confidence and I’m offering a reward of rare/signed Transformers goodies to anyone with information leading directly to their recovery. Thank you. This entry was posted on Monday, March 12th, 2012 at 3:19 pm and is filed under Uncategorized. You can follow any responses to this entry through the RSS 2.0 feed. You can leave a response, or trackback from your own site. 3 Responses to LEND ME YOUR EARS… AND EYES. I hope they turn up Simon – they are both awesome pages in some pretty critical Marvel UK stories. 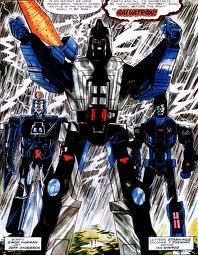 Also – big congrats on being made part of the Transformers hall of fame – you really deserve it! I do hope these pages turn up.